Business owners in Orillia already know the numerous benefits of doing business in this beautiful city. Living in a city so full of advantages, both consumers and employees in Orillia expect a lot from companies they work with and for. Show your customers and employees what it means to live in the Sunshine City by making your office as appealing as it can be. Alliance Interiors works with businesses in Orillia to maximize their aesthetic appeal, effectiveness, and employee satisfaction. We provide interior design services, construction and moving assistance, and furniture procurement to help businesses and employees function to the best of their abilities. Why Should You Renovate Your Orillia Office? Development hasn’t slowed down in Orillia, so it shouldn’t slow down in your office, either. Maybe it’s time to get more natural light into your office, rearrange the layout, or just bring in some new desks and chairs. If your office is out of date or could use a makeover in any way, its might be time to call Alliance Interiors. Appealing offices make for more motivated employees. Just as an office presents a certain image to potential clients, it also presents a certain image to employees. Workers often reflect the environment they’re placed in, so if your office is old and out of date, your employees’ may unconsciouslyreflect a similar attitude in their work ethic. On the other hand, offices that are attractive and modern tend to inspire employees to work more effectively. Attractive offices make you look good. Your office remodel will not go unnoticed by your employees or potential clients. Seeing the effort you’re putting in to bettering their work environment can inspire your employees and give them a confidence boost, which will often be reflected in their work. Potential clients will also notice your newly renovated space and it will surely reflect positively on their image of your company, since a company that can remodel during difficult economic times is one that must be doing something right. Your employees deserve it. No company would be able to get very far without its employees. Show your employees how much you appreciate them by giving them a few upgrades now and then. A remodeled office—or even some new desks and chairs—will show them that you see how hard they’ve been working and that you appreciate all that they do for your company. Alliance Interiors is your one-stop shop for your remodeling needs. Instead of having to work with a number of different contractors for the planning, implementation, and finishing touches stages, Alliance Interiors will be your guide through every one of these steps. Home Office Design: Corporate offices are not the only ones that need to be remodeled now and then—in fact, your home office can benefit from a remodel just as much as a major office can. When working with entrepreneurs and others who work from home, Alliance Interiors gives personalized attention to each client. We will make sure that we understand your personal needs and desires so that we can help create the best workspace for you. Office Space Planning: We understand that determining your office layout is one of the most important parts of the planning process. Alliance Interiors will work with you to plan a layout that will maximize your employees’ motivation, inspiration, and productivity. Corporate Office Relocations: If your business has outgrown its old home and is looking for a new one, Alliance Interiors can work with you to coordinate corporate office relocations in a way that will make the transition as easy as possible for you and your employees. We understand that all moves can be stressful on business owners and employees, whether you’re moving across town or across the hall, and we will do everything possible to ensure that you and your staff sacrifice as little time and productivity as possible. Office Project Management: Remodeling an office is a significant and daunting task. Alliance Interiors will work with you to manage the steps of the process by helping you come up with a budget, review project specifications, and work with an experienced designer to produce a full set of construction drawings. Office Furniture Procurement: We wouldn’t want to help you relocate and rearrange your entire office only to leave you hanging when it comes time to furnish your new space. Alliance Interiors has partnered with high-quality furniture vendors so that we can go over all your options with you and help you procure the best furniture for your workspace. Considering all the time you and your employees spend in the office, it’s important that everyone be as comfortable as possible. 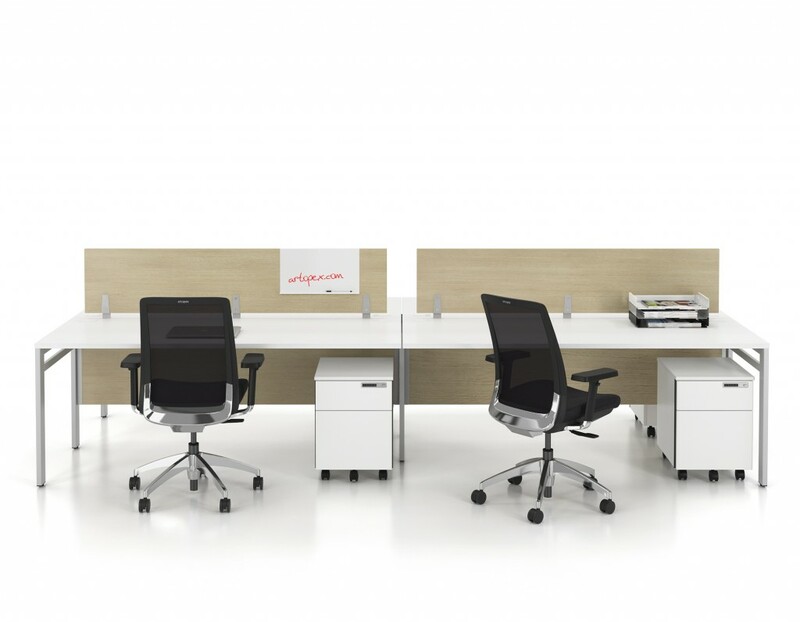 Not only is it beneficial to everyone’s health to make sure they’re receiving proper ergonomic support, but quality furniture can also boost morale—a comfortable employee is a happy employee, and a happy employee is a more productive employee. When it’s time for you to upgrade your office furniture, Alliance Interiors will work with you to facilitate conversation with these top brands to ensure that you receive the best furniture at the best prices in the best time. If you’re ready to learn more about how you can create the ideal business environment for you and your employees, contact Alliance Interiors in Orillia today!